When is the Hermanus whale season? This is a question that gets asked all the time. Well typically the whale season in Hermanus is between June and December every year. Some years the Southern Right whales have arrived as early as April but the usual time for them to start arriving is at the end of May. Southern Right whales have been reported to still be in Hermanus as late as early January. What is the best month for whale watching in Hermanus? The fact is that they do not arrive all together. The first lot start to arrive at the end of May, and every week more and more arrive. It is safe to say that by September, the full number of whales for the year are in Hermanus. This means that peak whale season in Hermanus is September and October. It is the males that leave first and later the females, mothers and calves. By the end of November, the only whales left in Hermanus are the mothers with their newly born calves. These are the ones that gave birth late and their calves are firstly still not strong enough for the journey to the Antarctic, and secondly do not have enough fat on them yet to be able to survive the cold waters there. As soon as they are ready, the mother and calf head off South together, probably to be seen again in our waters once again in the future. What is the best time of day to go whale watching in Hermanus? Here is another question we get asked often. The truth be told, there is no best time of the day for whale watching in Hermanus. It’s recommend that people go on a whale watching boat charters in the morning, but that is only because generally speaking the weather and sea conditions in Hermanus are best at that time. Besides that, the whales activity remains the same all day long. Behavior such as breaching (jumping out of the sea), sailing (keeping its tail out of the sea for a long period), lob-tailing (slapping its fins hard and fast on the surface of the sea), or spy-hopping (raising and holding its head out of the sea), can happen on any day and at any moment. Every year the Hermanus Whale Festival is held. This is typically during the peak of the Hermanus whale season, somewhere in September. This festival is not to be mistaken with the whale season. A common misconception is that the whales are only here during the whale festival ? 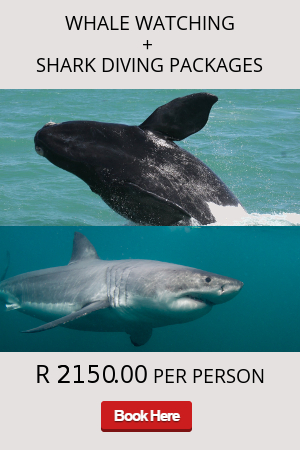 As discussed, the Hermanus whale season runs the entire period between June and December. The whale festival is a combination of shows, exhibitions, and events held throughout the whole of Hermanus but concentrated around the Old Harbour of Hermanus. If you enjoy the hustle and bustle of a great festival, then this one is for you.